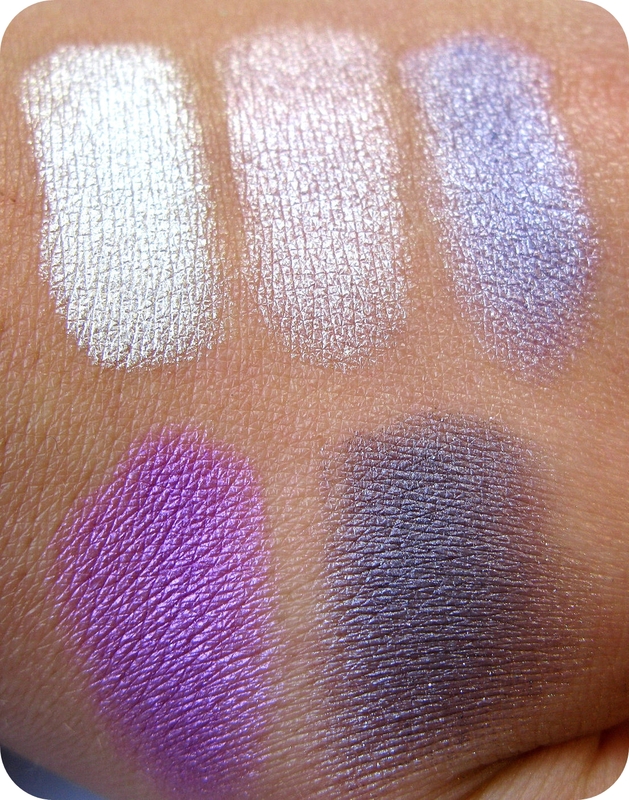 The last few days I got quite some things and I wanted to show those to you. 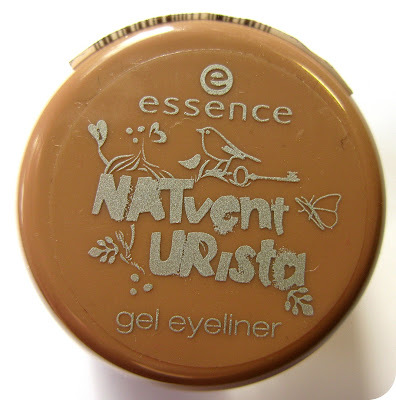 I bought all of them either at DM or Müller, so they are all drugstore brands. 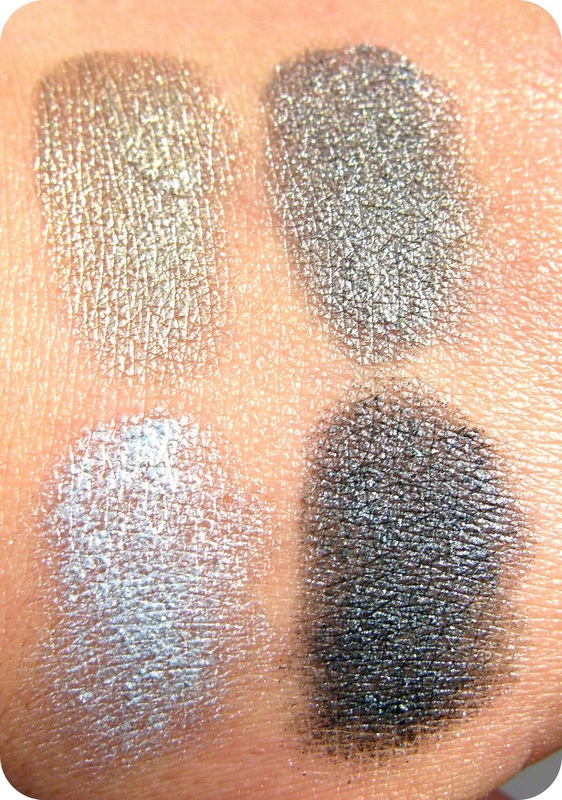 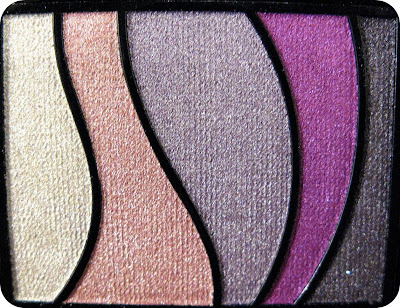 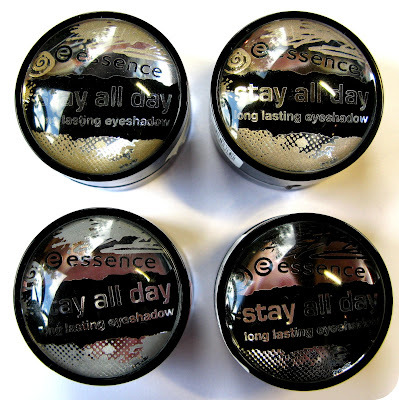 The first thing I wanted to show you are those Stay All Day Long Lasting Eyeshadows from Essence. 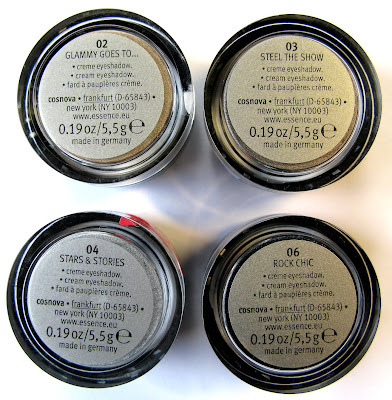 I bought 4 colours, I think there are 6 colour in total. 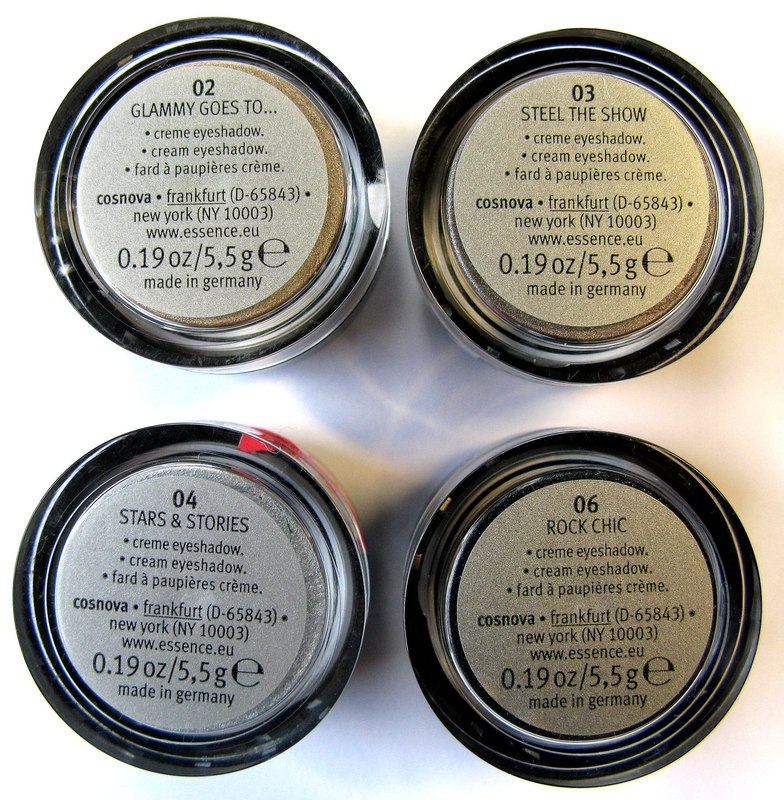 The colours I bought are 02 Glammy Goes To..., 03 Steel The Show, 04 Stars & Stories and 06 Rock Chic and then there are 01 Copy Right and 05 Camp Rock, but I haven't seen them anywhere yet. 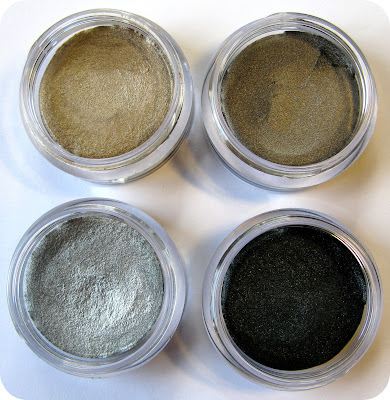 The eyeshadows are really nice, the colour payoff is very good and they stay on (when using an eyeshadow base) the whole day. 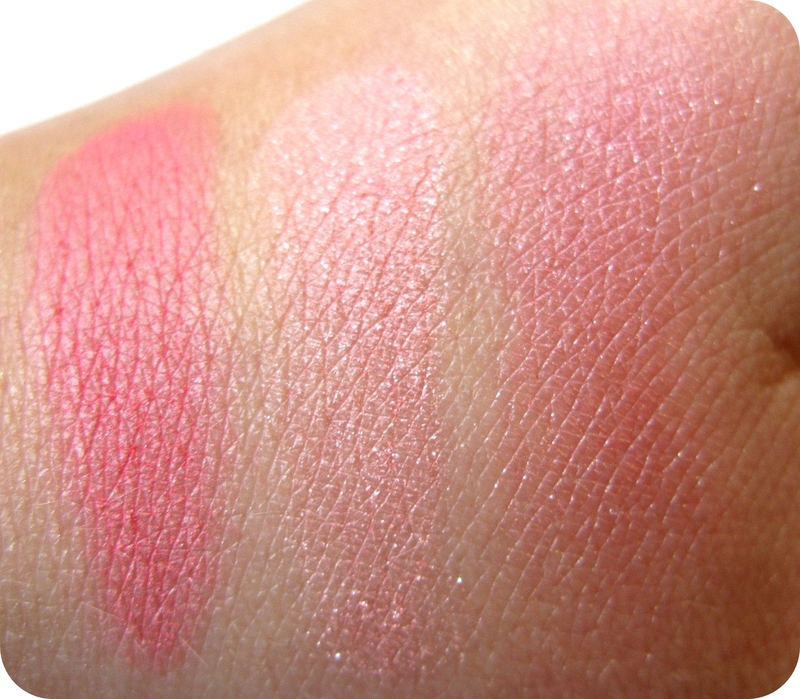 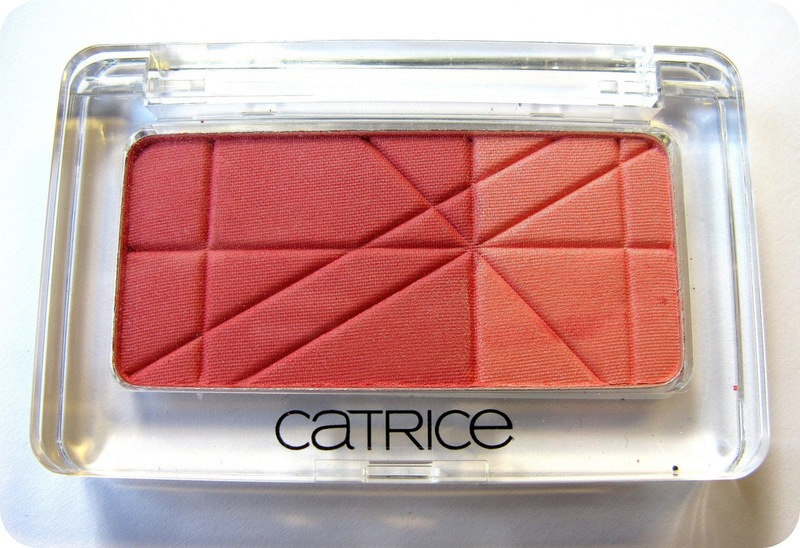 The next thing I bought is this great blush from Catrice, the Defining Duo Blush in 030 Pink Grapefruit Shake. 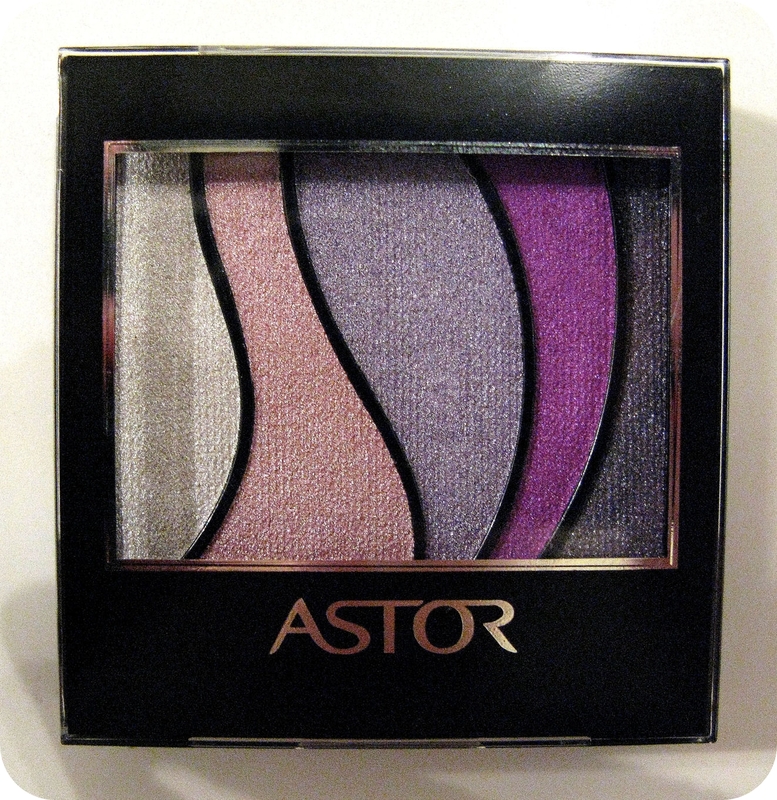 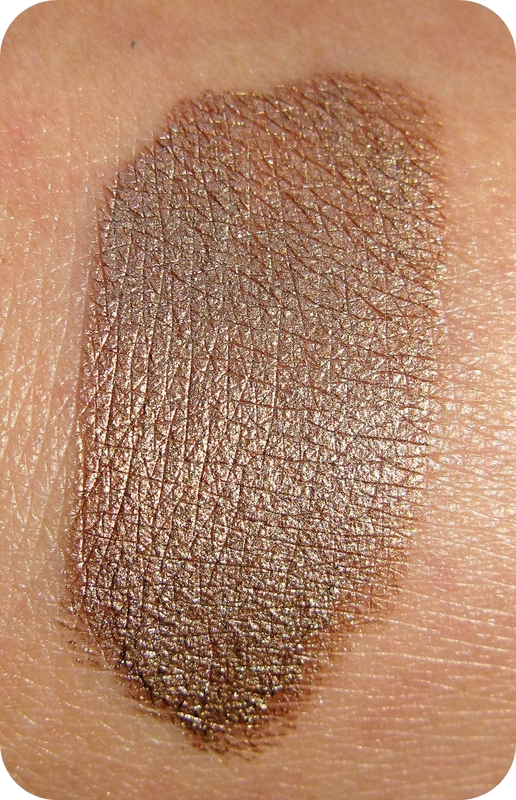 The texture is smooth, I love the colour and the colour payoff is really good. 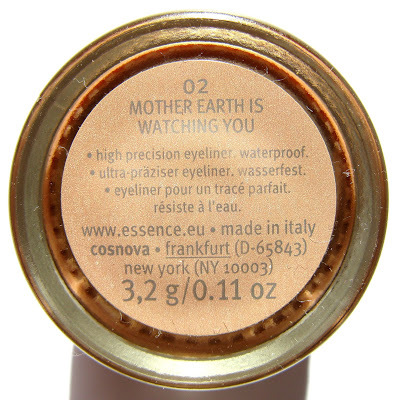 Another thing I bought is this gel eyeliner from Essence's Limited Edition, NATventURista, in 02 Mother Earth Is Watching You. 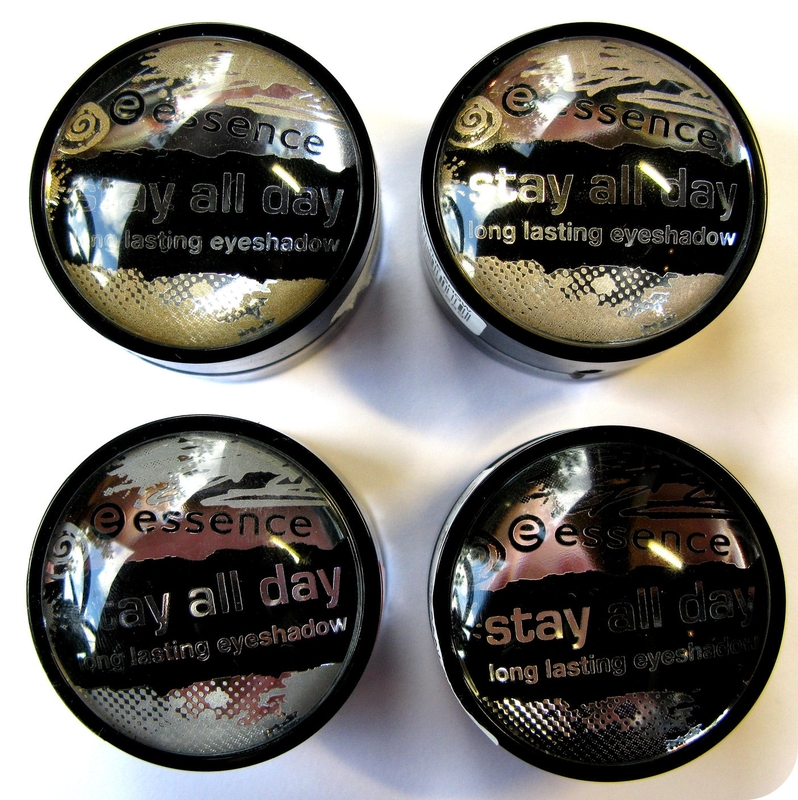 The colour is really lovely, the texture is smooth and not too stiff, it applies evenly and it is really waterproof!